An electronic capsule that measures gases in the gut to revolutionise the diagnosis of gut disorders could be available within four years, following an agreement between Australia's RMIT University and Atmo Biosciences. The commercial licence agreement, which gives the start-up exclusive rights to commercialise the RMIT-developed technology, will enable Phase 2 clinical trials to be pursued. The world-first patented technology can detect and measure gaseous biomarkers in real time to help improve the diagnosis of gut disorders, which affect one in five people in their lifetime. Set to hit the market by 2022, the electronic gas-sensing capsule offers rapid, non-invasive diagnosis of these common and debilitating conditions, which remain undiagnosed in 30% of patients. When swallowed, the capsule moves through the gastrointestinal system and transmits information via a handheld device and mobile app to the cloud for doctors to examine, enabling targeted treatment, earlier relief of symptoms and reduced healthcare costs. 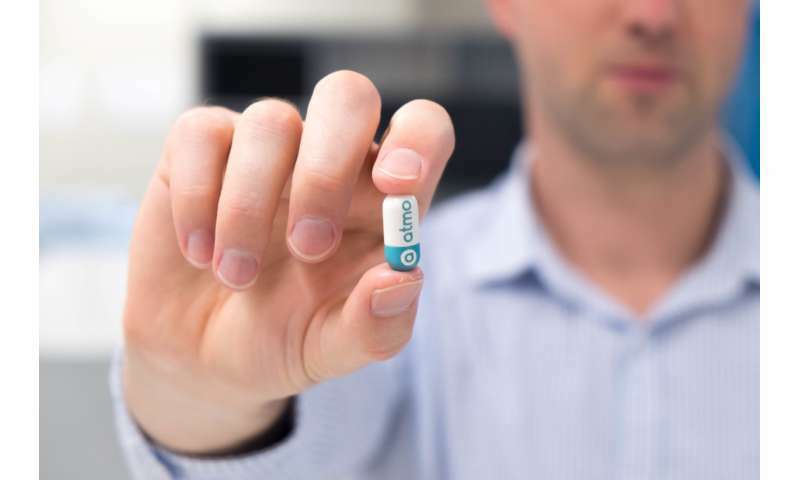 As well as pursuing Phase 2 human trials, Atmo Biosciences - an early stage venture of leading health tech and innovation company Planet Innovation—will work to enhance the existing technology and expand the range of gases the capsule can sense. Researchers will target biomarkers related to gut disorders including small intestinal bacterial overgrowth (SIBO), irritable bowel syndrome (IBS), inflammatory bowel disease (IBD) and ulcerative colitis, a form of IBD that costs the US healthcare system $US19 billion each year. RMIT Deputy Vice-Chancellor Research and Innovation and Vice-President, Professor Calum Drummond, said the agreement was a landmark moment in delivering the groundbreaking medical technology into the hands of patients and doctors. "RMIT research is driven by a desire to create positive benefit for our communities through innovation and collaboration," Drummond said. "We're excited by this opportunity for our research to be translated into products and services and look forward to seeing Atmo Biosciences bring this technology out of our labs and into the broader community." The RMIT research team behind the technology was led by Professor Kourosh Kalantar-zadeh (co-inventor and Atmo lead scientific advisor), Dr. Kyle Berean (co-inventor and Atmo Chief Technology Officer), Dr. Adam Chrimes (Atmo principal engineer) and Nam Ha (Atmo principal engineer). Atmo Biosciences CEO Mal Hebblewhite said he expected strong demand for the capsule. "One in five people worldwide suffer from a gastrointestinal disorder in their lifetime, and almost a third of these cases remain unresolved, often due to difficulty in diagnosis," Hebblewhite said. 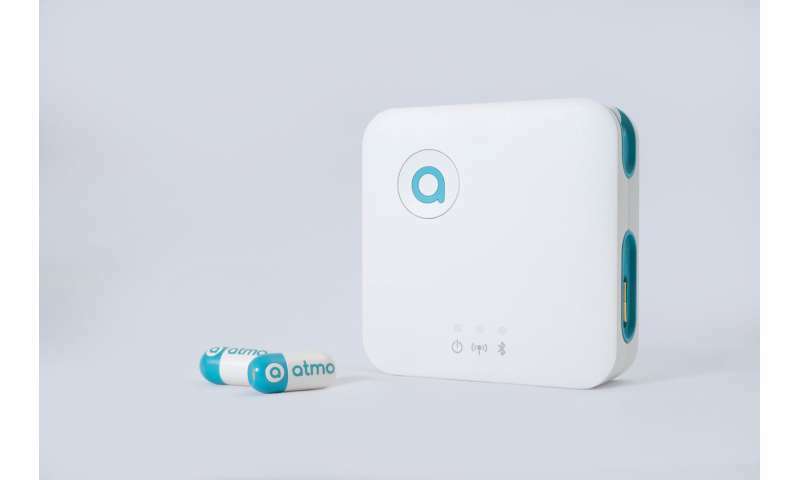 "The Atmo Gas Capsule has the potential to close this gap by offering the ability to identify previously undiagnosed conditions. This will provide relief to the millions of patients who suffer daily without targeted therapy to relieve their symptoms." Dr. Kyle Berean, research fellow in RMIT's School of Engineering and Atmo CTO, said Phase 1 human trials had established that the capsules were safe and reliable, with results revealing the capsule to be more than 3,000 times more accurate than breath tests in detecting gas biomarkers. "We know breath tests suffer from high rates of false positive and false negative diagnoses and we know that gas concentrations in the gut are up to 10,000 times higher than those in the breath," Berean said. "By measuring the hydrogen, carbon dioxide and oxygen produced by the gut directly at the source, our capsule offers vastly more accurate results and unprecedented signal to noise ratios, compared with breath testing."